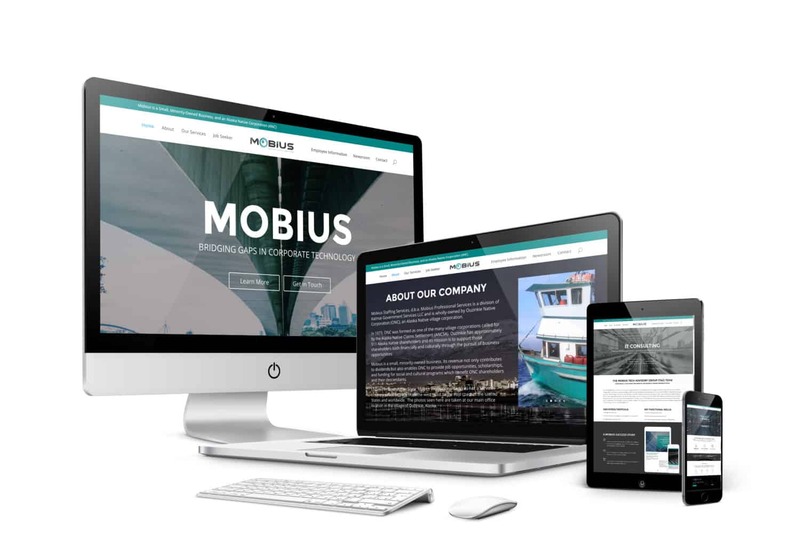 Mobius Professional Services, a small, minority-owned business based in Alaska that provides staff augmentation, project management, and IT consulting. We were awarded this project after providing a free review of their site and as a result of a referral from SkillStorm. Abask led the rebranding process for Mobius Professional Services. This included a new name, design for a new logo and revamping of their website and social media to align with branding and search engine optimization. We also developed a marketing strategy and process for onboarding new clients. THE WORK: After providing a free review of their site, we created a new brand identity for this Alaska-based company. We worked to develop a cohesive branding strategy across several online platforms, including their website and social media outlets. Then we created a marketing strategy to target new consultants and streamline the process to onboard new consultants, as well as a sales presentation using PowerPoint that the Mobius leaders could readily use.